This article was originally published: January 4 2012 and February 23 2012. There where rumours about a whole new Baofeng radio. This radio, the Baofeng UV-5R is an Dual-band radio and it has a keypad. This Baofeng radio is similar to the TH-F8 from the TYT Brand. 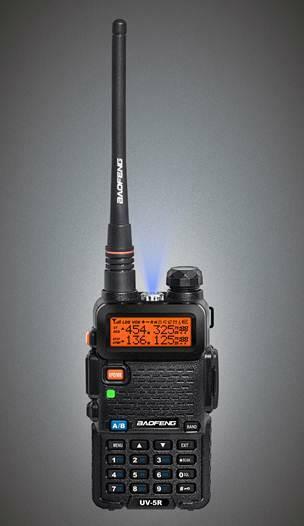 But it are no rumours any more, The Baofeng UV-5R is a fact! This radio is much larger then the UV-3R and has a keypad. The first online shop I found, where you can buy the UV-5R is the taobao.com shop. I mentioned this at the Brick O’Lore website and soon someone wrote that the 409shop the new Baofeng has included in the collection. February 23 2012 – The latest news about Baofeng is that there is now a Baofeng UV-5R. This radio is much larger then the UV-3R and has a keypad. First we thought that this Baofeng was a Hoax, but that is not the case! The first online shop I found, where you can buy the UV-5R is the taobao.com shop. I mentioned this at the Brick O’Lore website and soon someone wrote that the 409shop included the new Baofeng in the shop collection. Dit bericht is geplaatst in Baofeng Radios. Bookmark de permalink.